WIENCOUVER - "an imaginary city hanging invisibly between its two poles Vienna and Vancouver" was conceived by Vancouver based performance, radio and telecommunication artist Hank Bull in 1979 on the occasion of his participation in "AUDIO SCENE '79" in Vienna. To Bull, a friend and admirer of Robert Filliou , WIENCOUVER represented the idea of art as a relationship between people and life, the esthetic of social action and international communications between artists. Today WIENCOUVER is still alive, since 1999 also as the location of annual ART's BIRTHDAY celebrations between artists in Vienna, Vancouver and beyond. 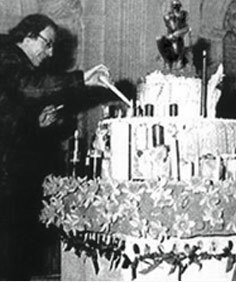 ART'S BIRTHDAY is an annual event first proposed on January 17th 1963 by French Fluxus artist Robert Filliou. He suggested that 1,000,000 years ago "A man took a dry sponge and dropped it into a bucket full of water. Who that man was is not important. He is dead but art is alive." Filliou's ideas have inspired many artists until today. "After Filliou's death in 1987, some artists began to celebrate Art's Birthday with mail art, fax and slow scan TV events in the spirit of his concept of "The Eternal Network" or "La Fête permanente". The birthday parties took place in different cities across the world and artists were asked to bring birthday presents for Art – works that could be shared over the network. Since 1999 KUNSTRADIO in Vienna and the media section of WESTERN FRONT in Vancouver have become initiators and cooperating hubs of ART'S BIRTHDAY celebrations within the imaginary city of WIENCOUVER. ART'S BIRTHDAY 1999 was the launch of WIENCOUVER 2000, still ongoing exchange between artists in Vancouver and Vienna.